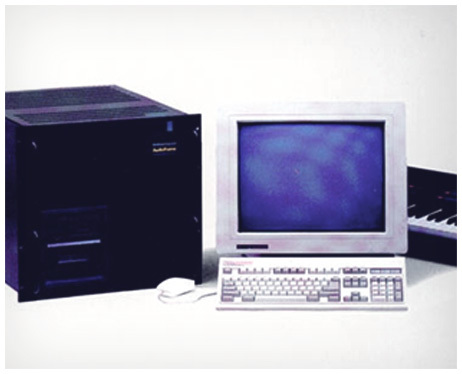 Back in the 80's the WaveFrame Audioframe was the second generation of mega samplers, in line with the NED Synclavier and Fairlight CMI. A complete 48-voice system would sell for over $100,000, and at the time the feature set was worth it! The Audioframe was used by renowned artists like Peter Gabriel and Stevie Wonder and by leading sound designers and foley artists. 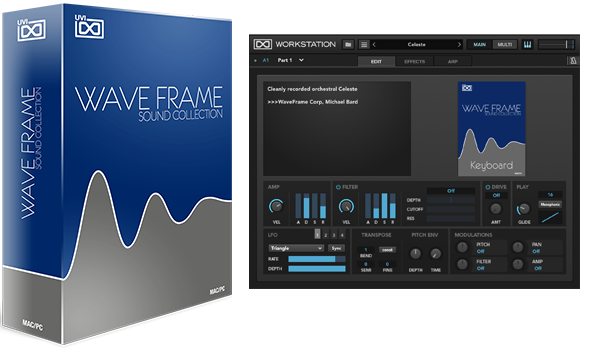 The UVI WaveFrame Sound Collection isn't a massive library dredged with tens of gigabytes of super high resolution wav files - conversely, it's a lean and mean library expertly crafted after the original, weighing in at just over 350 MB. As you can hear in the demos, the collection contains a multitude of very useful and organic sounds such as keyboards, guitars, basses, solo strings, string sections, upper brass, lower brass, brass sections, woodwinds, synths, pacific rim, percussion, drums, effects and test tones. WaveFrame Sound Collection brings you an excellent library of bread and butter sounds that preserve the character and history of this milestone in music tech history.